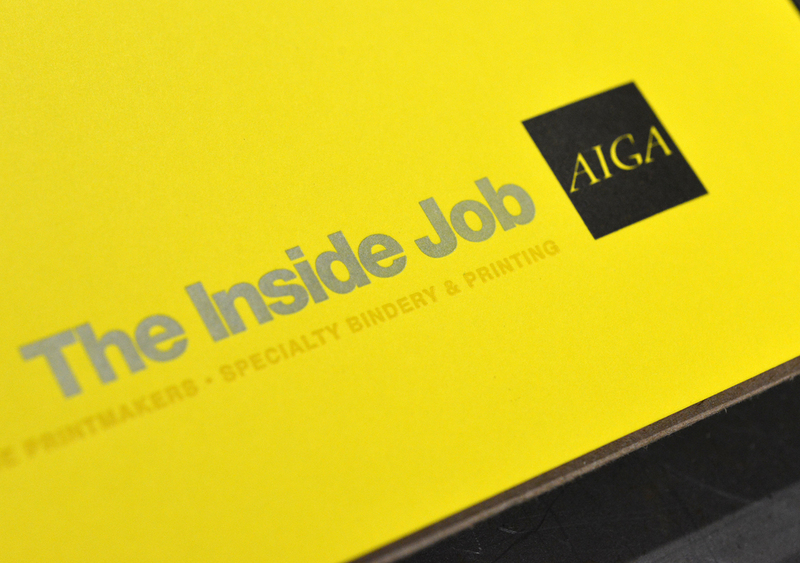 We had the pleasure of printing these excellent promo posters for AIGA Houston’s 2013 Inside Job Conference designed by Allan Peters. 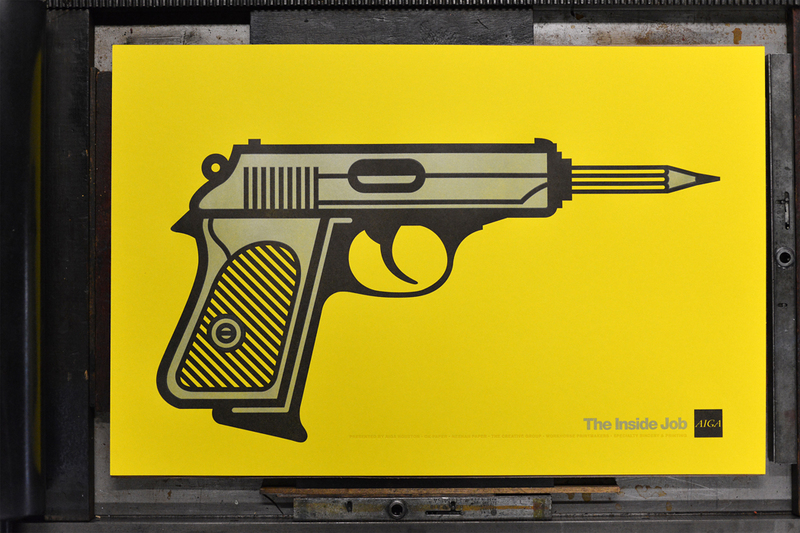 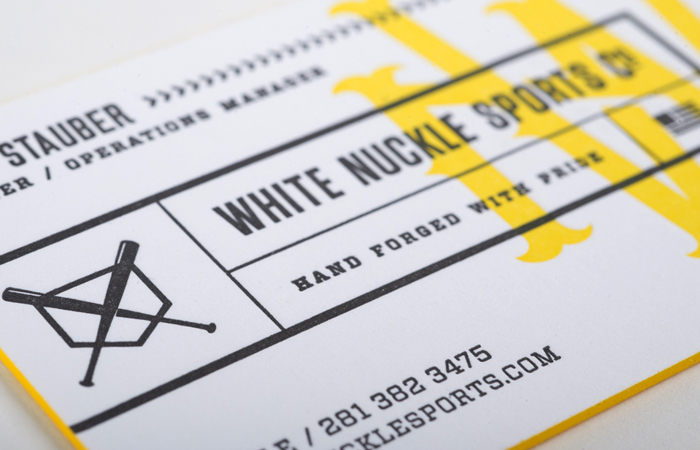 The posters are letterpress printed in three colors on Neenah Paper Astrobrights Sunburst Yellow. 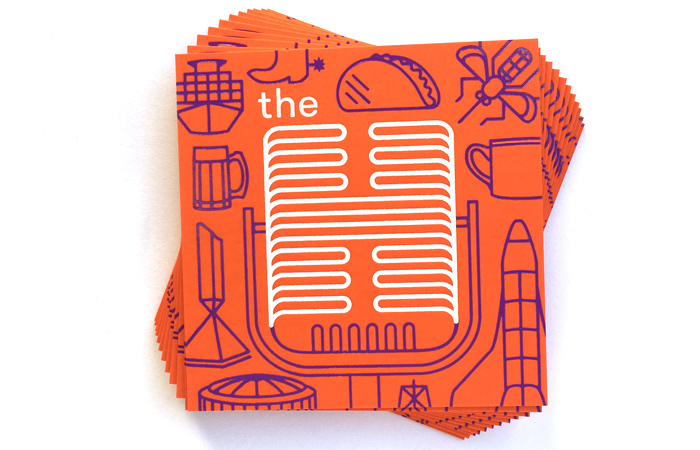 Read more about the project in our Hot Off The Press post! 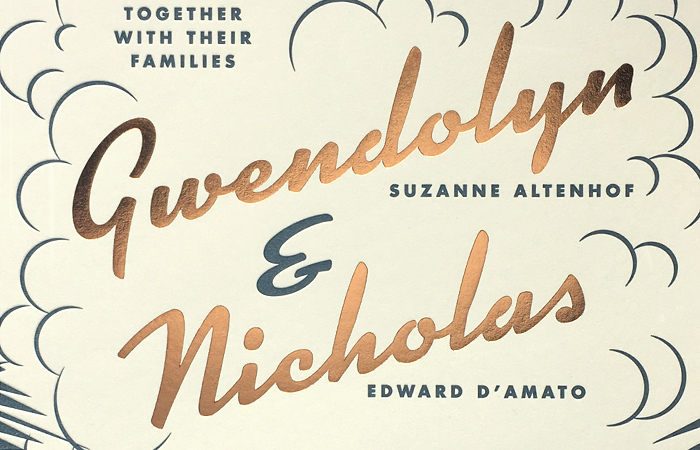 View of the overall poster. 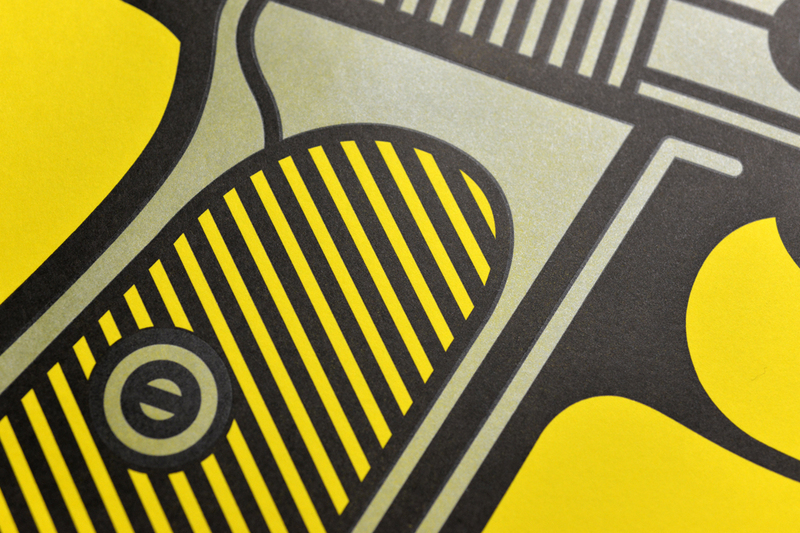 Detail of the yellow on yellow and silver ink printing.